Every Wedneday, we share small bits of advice for building your website in the best possible way. This week, we give our attention to the font of your core text body. Be careful not to use display fonts for long texts in your website. It is tiring for the eyes and does not help the user find the informationt they need. 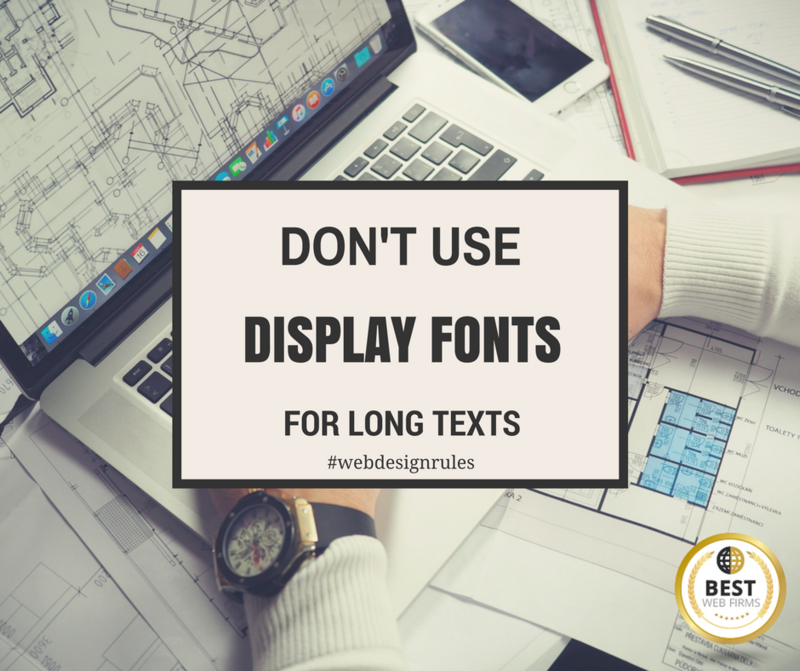 It is better to use display fonts for headings or at the top of your page, in order to stand out.